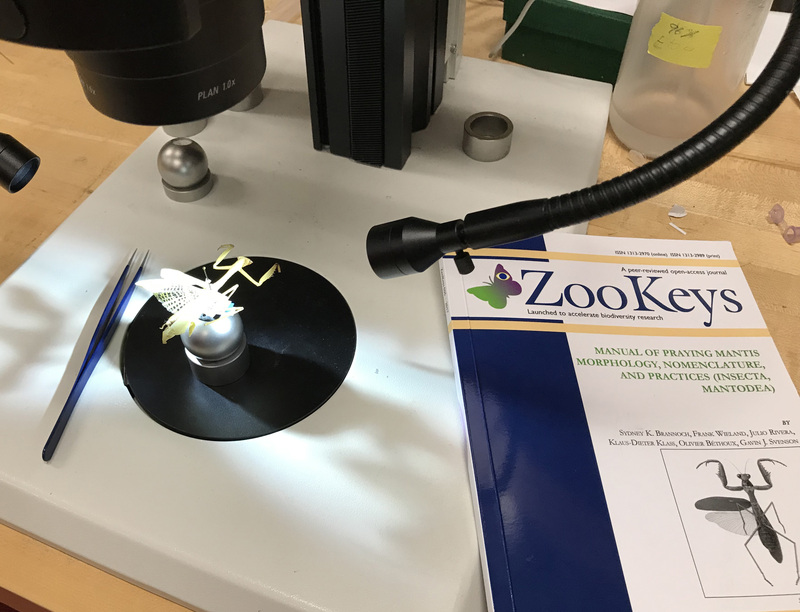 Sydney K. Brannoch and several collaborators have created the Manual of Praying Mantis Morphology, Nomenclature and Practices, which has been published by ZooKeys. It provides a comprehensive review of historical morphological nomenclature used for praying mantis (Mantodea) morphology, and proposes standard terms for use in all subsequent works pertaining to praying mantis morphology and systematics. Methods are described for the proper collection, preservation and storage of specimens for longevity and ease of study. See also the CMNH post.